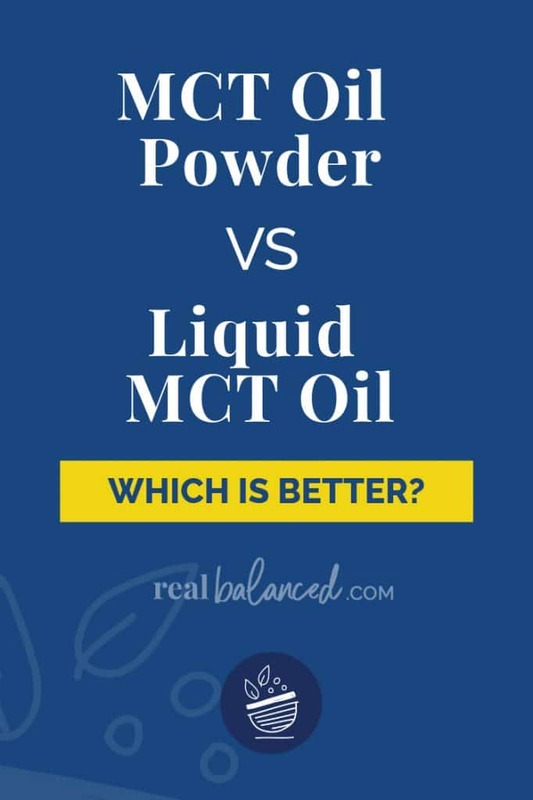 There is a lot of info on the web about MCT (medium-chain triglyceride) oils versus powders and while that may be a good thing, it also means that it can be reaaaalllly confusing and difficult to narrow in on the benefits of adding MCT oil to your diet. When it comes to what you’re putting into your body, you deserve to know the cold hard facts before making an informed decision. Allow me to be your MCT guide…. MCTs are a fatty acid found in coconut oil that is absorbed quickly by your body for immediate energy. MCT oils are used by many to serve as a mental boost and to help stay focused and more energized throughout the day. MCTs provide a consistent and long-lasting energy stimulant that won’t leave you feeling lethargic after, compared to high-carb foods that give you a quick boost then lead you to crash drastically. 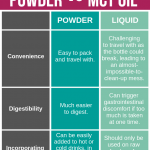 When do I use MCT Oil Powder? I use MCT oil powder every morning in my cold brew coffee (yes, I drink iced coffee all year long, cold winter weather be damned!). MCT oil powder, rather than liquid, in cold drinks incorporates MUCH better and leads to a frothy coffee drink versus an oily one. All I do is pulse the ingredients for my cold brew coffee in my blender and, voila, a homemade cold brew keto coffee that keeps me energized, focused, and satiated throughout the day, without any of the unwanted GI distress that liquid MCT oil usually leads to. 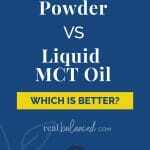 When do I use Liquid MCT Oil? I do use liquid MCT oil, albeit infrequently, whenever I am craving hot coffee. Liquid MCT oil in hot drinks incorporates really well, so long as you blend it on high for about 30 seconds or so. I have also used liquid MCT oil as an ingredient in fat bombs and as an added fat component in salad dressings. I have not, however, ever cooked with it, and while it can be heated, it’s important to note that it should remain under lower-heat temperatures so as to not oxidize it. 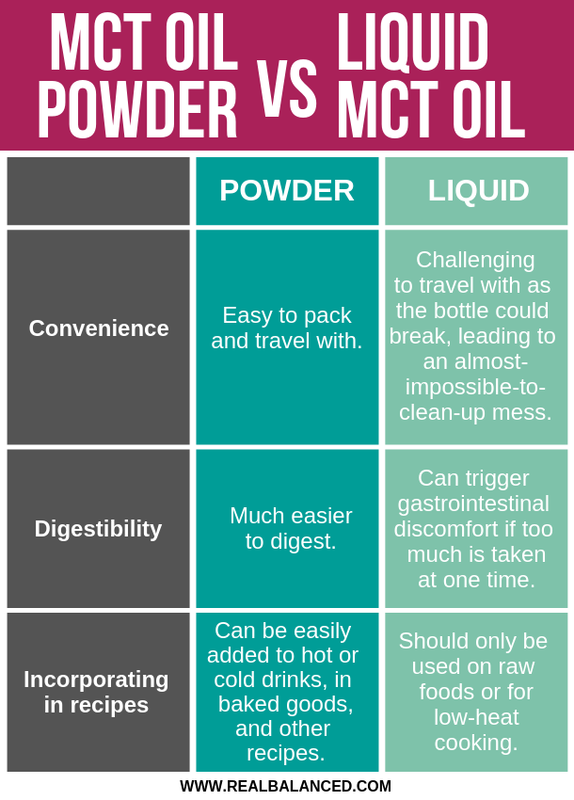 There are definitely some similarities and differences between MCT oil in its liquid and powder forms. Take a look below to see the pros and cons of each. TRANSPARENT: Oil is less likely to have any extra additives and fillers. COLD FOOD/LOW-HEAT COOKING: It’s ideal for low-heat recipes/foods and raw dishes like salads and smoothies. Stomach issues: Because the oil is in its rawest state, it can cause distress in individuals. If you already have previous knowledge of stomach sensitivities, this option might not be for you. NOT PORTABLE: It’s difficult to carry around. No one wants a bag-full of spilled oil everywhere. OILY TEXTURE: If you decide to put into drinks, it leaves an oily texture. But if you like that, do your thing! EASY TO TRANSITION: Powder-form makes the conversion into using supplements a bit easier. CONVENIENT: It is convenient to use in recipes and drinks and has no restrictions on what you can put it in. Powders also have a wider variety range as Perfect Keto offers a handful of flavors that compliment drinks/foods: unflavored, chocolate, vanilla, and salted caramel. EASIER ON YOUR TUMMY: It doesn’t ruin your digestive system and actually allows you to consume more at a time than oil. 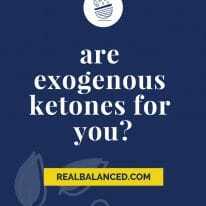 CAN COMBINE WITH OTHER SUPPLEMENTS: Combine with the Perfect Keto exogenous ketone powder base or collagen for a double whammy! TEXTURE ENRICHMENT: Make things creamier/thicker and add some MCT powder in there. POTENTIAL FOR NON-NATURAL INGREDIENTS: Some products have found to include additives, fillers, and sweeteners. LIMITED RESEARCH: “Research on the powder itself is limited due to its newer incorporation into mainstream society” [Perfect Keto]. 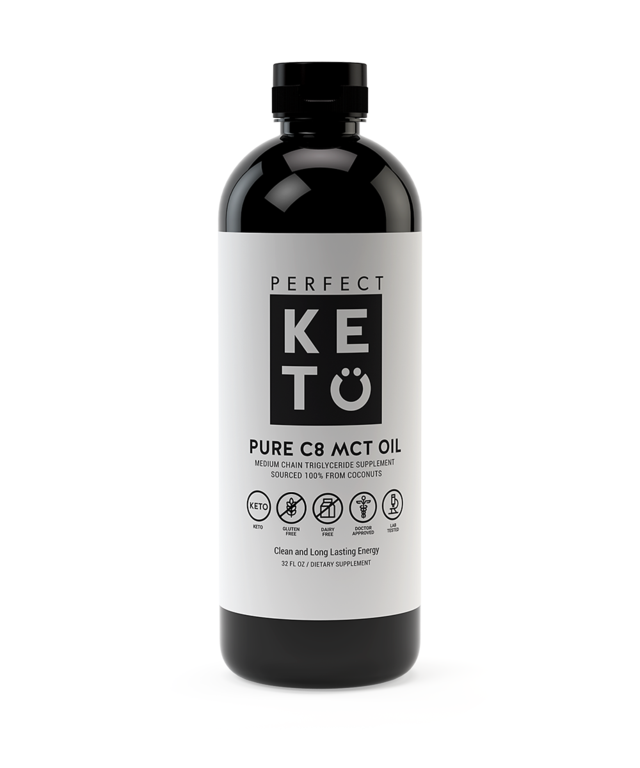 Perfect Keto offers two different types of oils: C8 and 70% C8/30% C10. The 100% C8 Liquid Oil is the most desirable when wishing to optimize results. 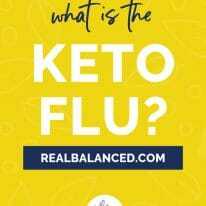 Basically, it is a “shorter chain molecule than C10 and C12 – which means they convert ketones more efficiently.” This very, VERY concentrated dose of MCT oil means that it is the ultimate fuel for your brain during times of sluggishness. The 70% C8/30% C10 MCT Oil option for is ideal for those who are looking to ease their way into using the oil, instead of just jumping straight into using the purest form. Perfect Keto offers tons of options for those looking to add MCT oil or MCT oil powder to their diet. Check out some of their most popular options below! 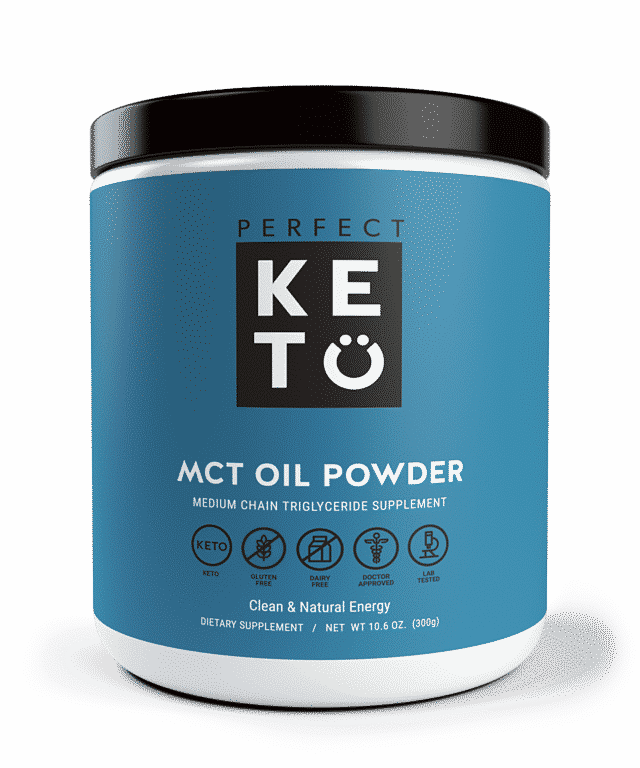 MCT Oil Powder is specifically designed for those on a low-carb or keto diet. The powder contains pure MCTs that help support your mental focus and metabolic function. Plus, thanks to added acacia powder, the powder also works to promote gut and cellular health! The powder is easy to mix into all your smoothies, teas, and coffee, adding an extra boost and creamy texture into all of your drinks. 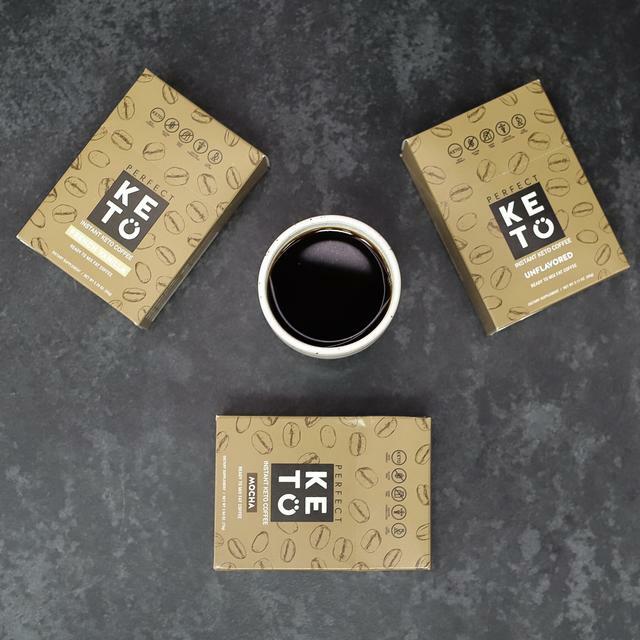 Instant Keto Coffee is one of Perfect Keto’s newest products and totally lives up to the hype! This Instant Keto Coffee is high-quality and extremely convenient, making it easy to make on-the-go for the busy low-carbers and ketoers! The best part? It’s already made with MCT oil powder, meaning it’ll automatically boost your energy tenfold. There are three different flavor options to fit your coffee tastes: mocha, french vanilla, and unflavored. All combine coffee and MCT oil powder, without all the extra unnecessary sugars and chemicals. Matcha Latte MCT Oil Powder combines MCT oil powder and antioxidant-rich matcha. Matcha is an extremely powerful antioxidant that is much stronger than traditional green tea. The powder is extremely easy to use; the best way to use is with almond milk and a splash of vanilla extract. Talk about YUM! 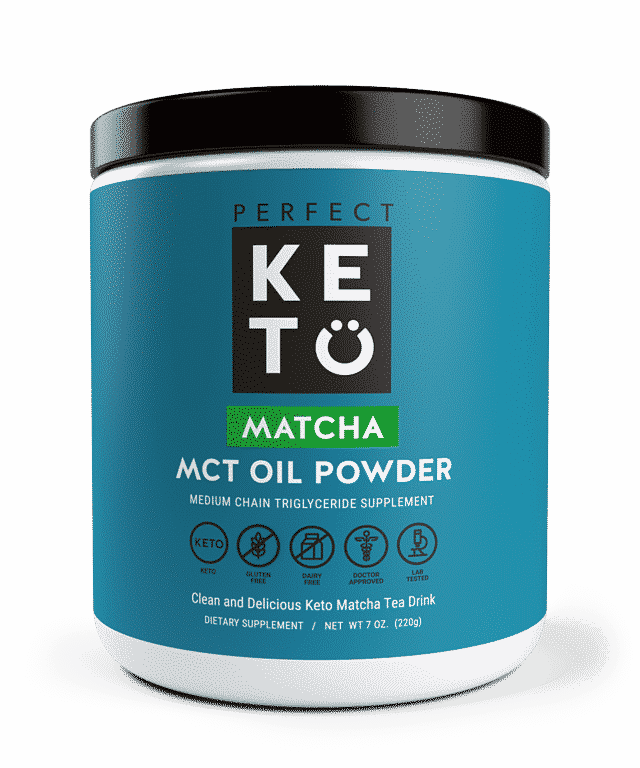 One scoop of this Matcha Latte MCT Oil Powder gives you the boost of energy and focus that you need, all without the crash! This option is perfect for those who want the benefits of liquid MCT oil, without all the messiness and texture of the oil. 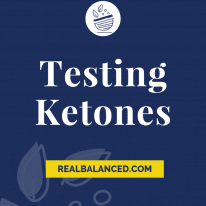 If you are wanting to try MCT Oil or MCT Oil Powder from Perfect Keto, you can use code “REALBALANCED” for 15% off your Perfect Keto Orders! Looking for recipes that contain MCT oil? This is great news for people like me who are trying to lose weight.